Carnea is a relatively new delicate small evergreen salvia for part shade. 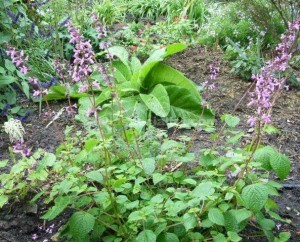 It has 25cm spikes of pink summer flowers from low foliage. Not for drought or frost.